Lookup in db or in code (enum)? Maybe this is a solved problem already, but I couldn’t figure it out until today. 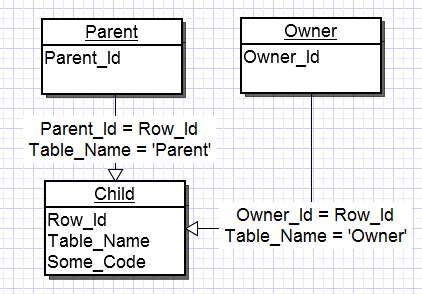 With massive usage of NHibernate, lookup in db or in code always appear as a puzzle to me. For example, given a lookup dictionary like mime type: text/plain, text/html, image/gif and other stuff. It make sense to save all those data into a table then enable foreign key on all referenced tables. But, in code, those mime type id itself will appear like magic number, I don’t likes this. So, creating an enum contains all items solve the magic number issue, partly, and introduce another sync concern, what if data in db and enum in code out of sync? This post demos a brilliant idea of creating enum on the fly, but mime value has slash in it, this solution doesn’t work. Also, wrapper class around enum seems unnecessary. /// Extension methods container for enum used to check synchronization between enum in code and data in db. // in case varchar type. trim it before compare. /// Used to read mime type from db, then we can check synchronization with defined enum mime type. Test code, similar functionality should be done in app start or somewhere static ctor to ensure the synchronization. Console.WriteLine(mimeTypeInDb.Name.ToMimeTypeValue()); // will throw invalid data exception if enum not found. Note: using CustomType<int>() also works, but it will cause extra update problem for reading query. NH is trying to set column to enum string value. NHibernate Session.Query ignore Fetch Join? 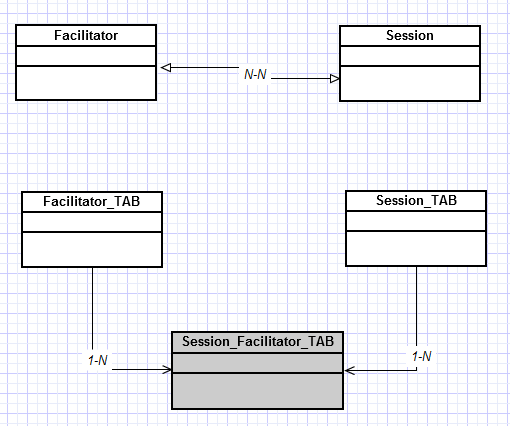 It works fine at least for Session.Get<T>(id), we can see only one joined query instead of two separated ones. But it seems Session.Query<T>() keeps ignoring this join fetch setting, we always got two separated selects when using Session.Query<T>. A Bug? Linq2Nhibernate seems doesn’t does support sub-query, while doing Session.Linq<Email>().Max(x => x.Id) generated max in sql query, but I got null ref exception when using generic in my base repository syntax like Linq<T>().Max(x => x.Id), I was using Linq2NHibernate version 1.1.0.1001. System.NullReferenceException : Object reference not set to an instance of an object. It might be a bug in linq2NH or in my base Repository, Linq2NH is deprecated anyway. In NHibernate 3.0, we can take advantage of the new built-in Linq provider in NH: QueryOver syntax. Update: I thought using Session.Query<T>.Max(x => x.Id) will only do the in-memory collection max operation, in fact it does generate the max query over database. Thanks to Phillip Haydon for pointing out.